Dynasty Warriors 7 is a Beat 'em up video game and the seventh official installment of the Dynasty Warriors series. It is developed by Omega Force and published by Koei. The story is based on the Chinese writer Luo Guanzhong's historical novel Romance of the Three Kingdoms. The game was unveiled at the 2010 Tokyo Game Show. On October 26, it was revealed at the Koei Press Conference to have improved graphics and gameplay, with the support of stereoscopic 3D. 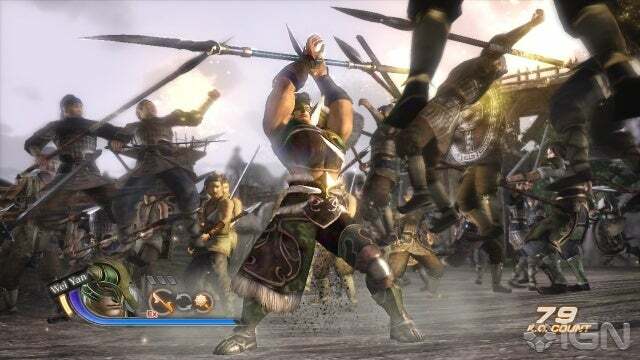 Tecmo Koei released it in North American on March 29, 2011, in Europe on April 8, 2011 and in Australia on April 14, 2011, after news that it has been delayed and was released on both the PlayStation 3 and Xbox 360. Tecmo Koei Japan had released Dynasty Warriors 7 with Xtreme Legends, along with downloadable content up to October 2011 released on PlayStation 3 version, on Microsoft Windows. 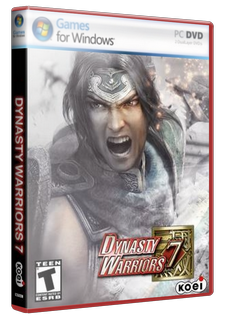 Dynasty Warriors 7 is the first game in the series to extend past the Battle of Wuzhang Plains. Consequently, the Jin Kingdom was added, bringing the total number of major factions to four. This game's Musou mode is not character based but kingdom based. The Renbu combat system has been removed, replaced by a the return to the familiar charge system, which allows players to end increasingly longer combos with a charge attack of varying effect depending on the current situation. Characters are also allowed to wield more than one weapon during battle, with the ability to execute a special attack upon switching. In addition, both aerial musou attacks (depending on the character) and certain aerial combos have been introduced. Players will still be able to adjust the camera angle. Character and weapon level development/customisation can now be done during battle. Players can also choose to switch their equipped weapons during battle and can obtain new weapons by defeating officers. Characters have a special attack with a weapon indicated with an EX icon. The EX attack uses a sequence of attacks and/or charge attacks, and the result will vary with most characters. Characters also have 2 musou's that they perform using their Ex Weapon which can consist of grapples, midair, charges, quick/heavy strikes or a combo of hits performed in certain ways. An additional mode known as Conquest Mode (Chronicle Mode for the Japanese version) has been incorporated into the game. Gameplay features include a player-forged path through China in which the player can also choose to play "Other" characters in the kingdom, due to the fact that they have not been given their own story in Story Mode. Conquest Mode will also feature both online and offline co-operative play. This mode also replaces the old Free Mode present in previous titles. Any updates for the link admin?